There are some days that I will feel like a bloated whale or what I call baby elephant days, feeling round but not cute. It is not so much of bloating from pre menstrual cycles but more of the body is just all 'clogged' up, jammed, sluggish, tired easily and almost grumpy. Sounds terrible, right? 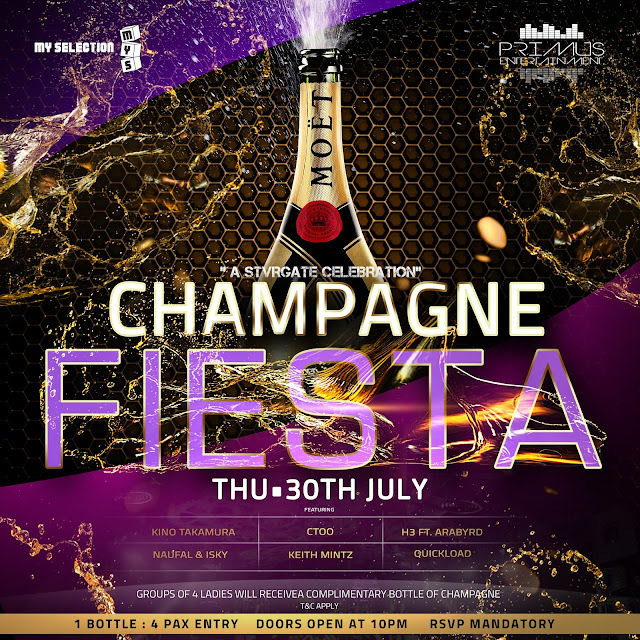 How about ushering in Q3 of 2015 with a bash? Let's also throw in options of champagne, music and dancing under the stars. Look no further, head in to The Roof! 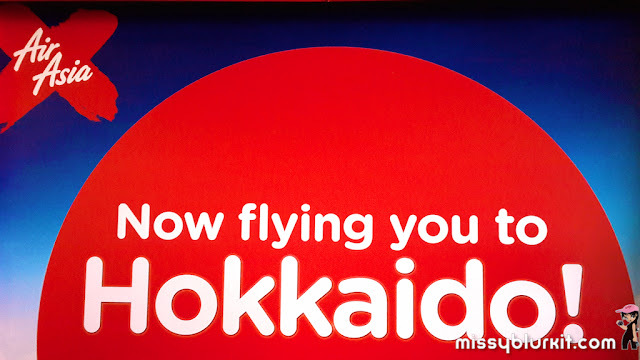 AirAsia X flies directly from Kuala Lumpur to Sapporo, Hokkaido beginning 1st October 2015. 4 times a week. Promotional fares start at RM99 for economy or RM999 for the award winning Premium Flatbed from today until 2nd August 2015. Travel period is 1st October 2015 until 31st August 2016. If you seek a drive and some good food, then head on to Bagan Hailam in Klang. There are a quite many restaurants to choose from both halal and non halal. 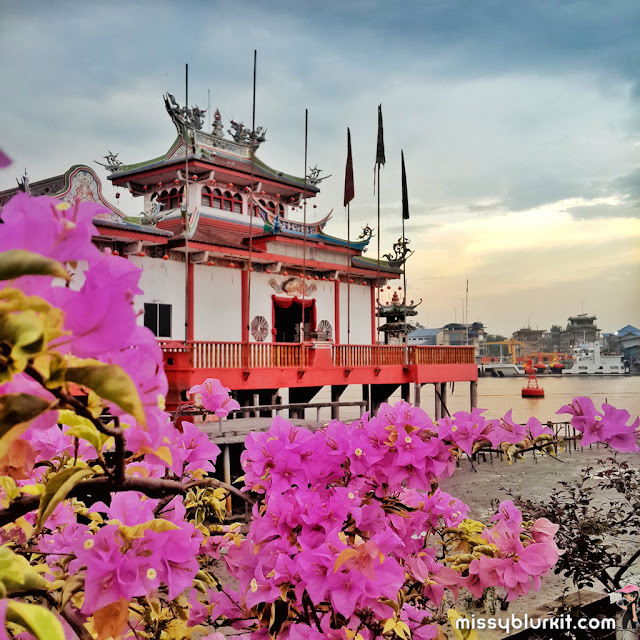 A personal favourite is Bagan Hailam Seafood Restaurant at the Bagan Hailam village itself that I personally like because of the simple dishes and more so it is still cooked by a Hainanese grandma herself. 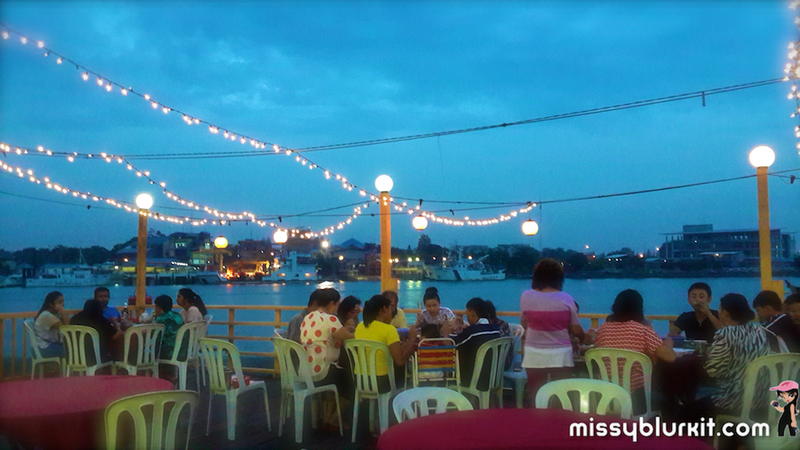 Come early and enjoy your meal while the skies turn dark. Of course if you come when it is dark, you can always dine under the stars. We arrived at 630pm and had a good time chatting over our dinner. Bagan Hailam is an old fishing village. Have fun snapping away while waiting for your dinner. Dine outdoors to enjoy the gentle breeze. 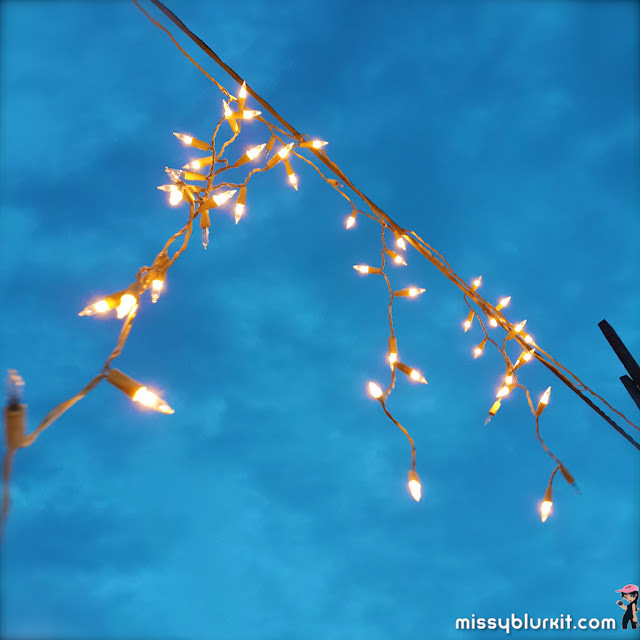 Some lights and these are not the stars that I am referring too! 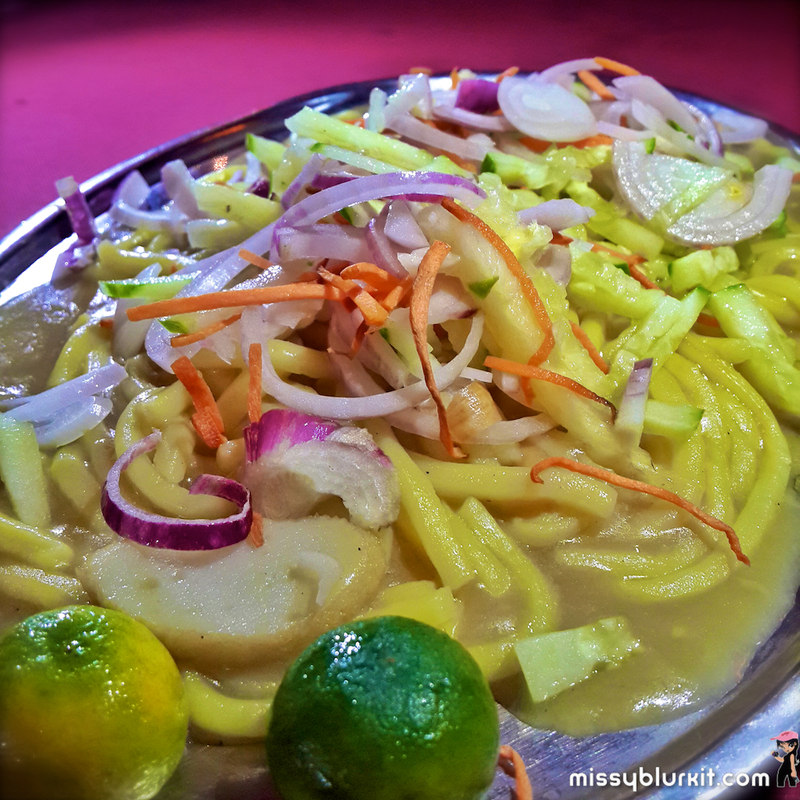 When visiting a seafood village, of course one goes for seafood dishes. While I was tempted to order them in the usual popular preparations, I wanted something that the cook herself personally liked. 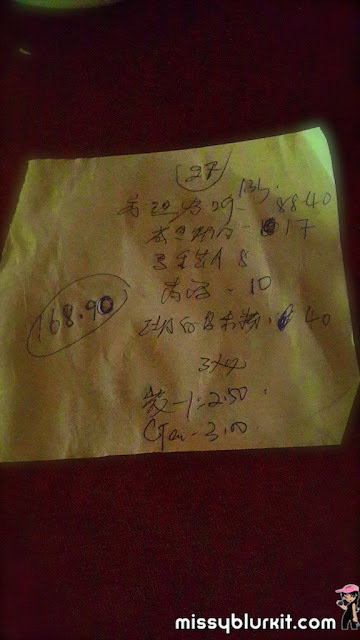 So after some discussion, we had a meal of 5 dishes between the 3 of us. It was a simple feast that was memorable and I am definitely looking forward to returning for more good food here. Hailam Noodle unlike the usual dark soy sauce versions that we normally find in town. 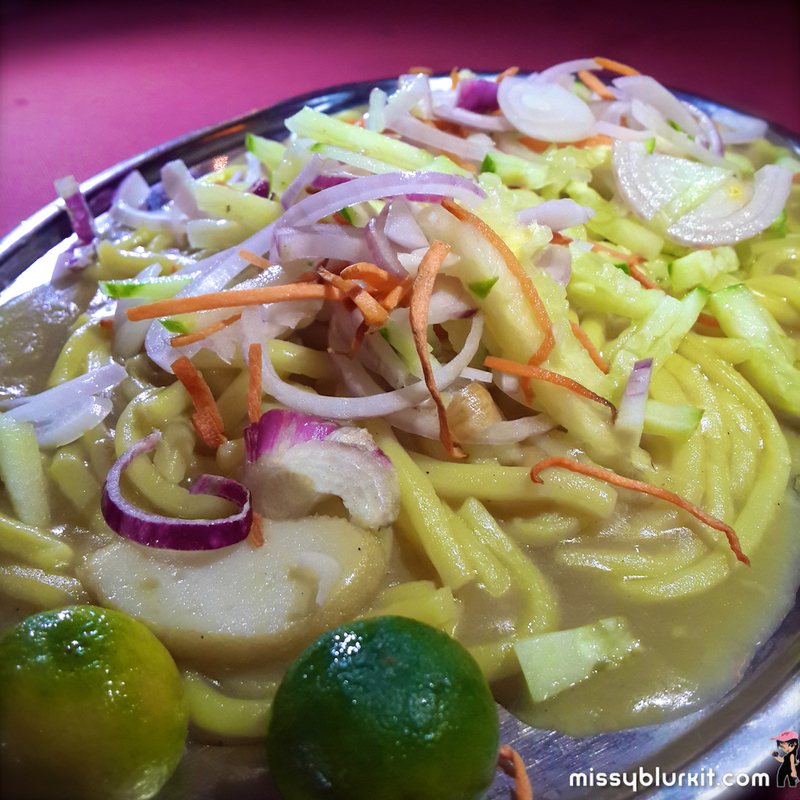 Yellow egg noodles cooked with some prawns, squid, fish cake. 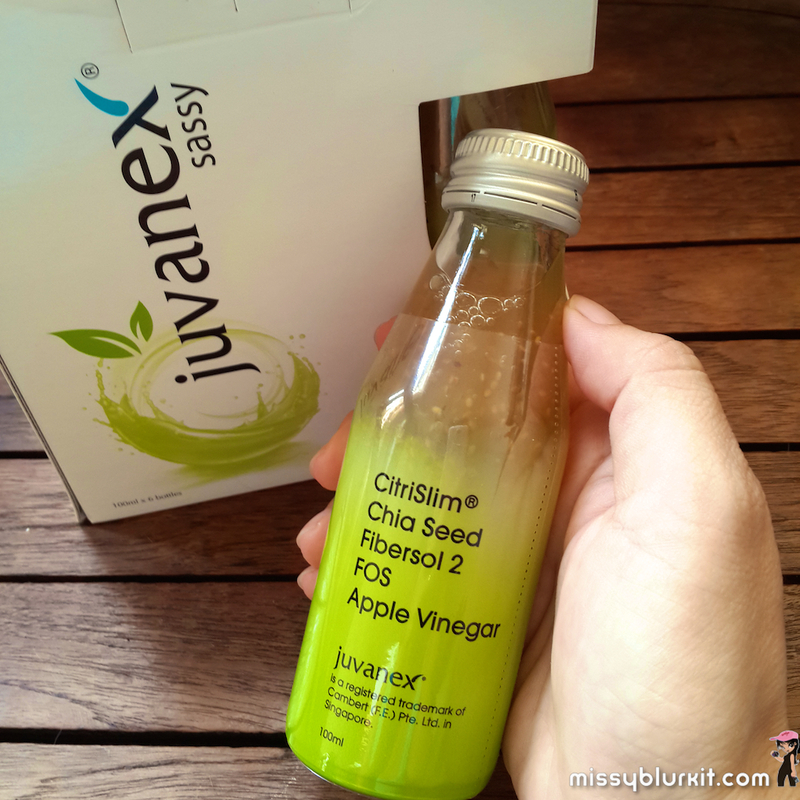 Tasty on its own and a squeeze of the calamansi for more ooomph. A simple dish but it is utterly delicious. Stir fried 'fan si yip' tapioca leaves with sambal belacan. 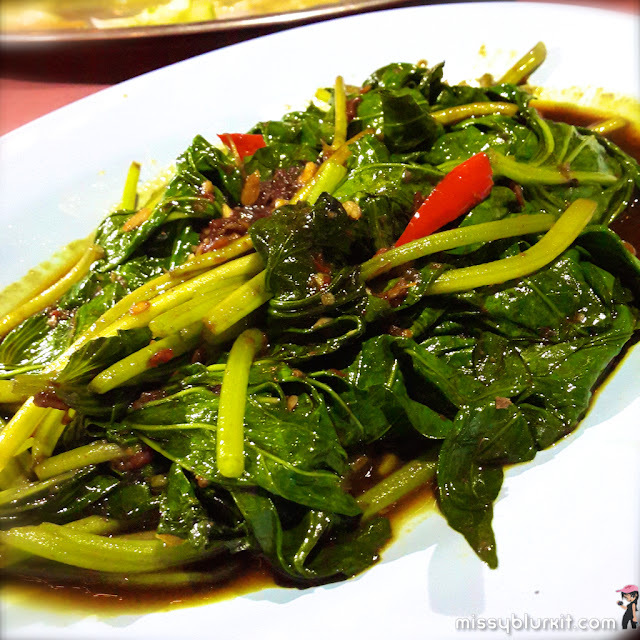 Very young shoots so it was not fibrous. Not too oily too! 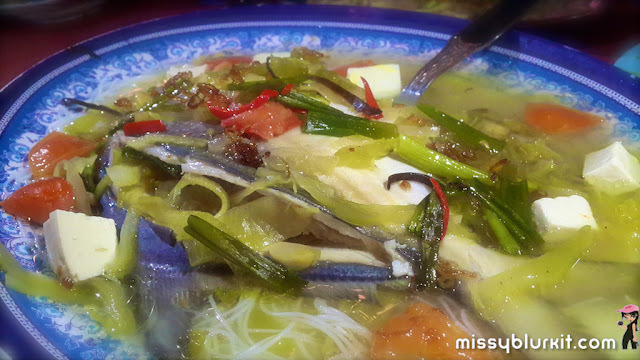 Pomfret with meehoon (rice vermicelli) in a very appetising broth of salted vegetables, tomatoes, spring onions and tofu with a little hint of pepper. 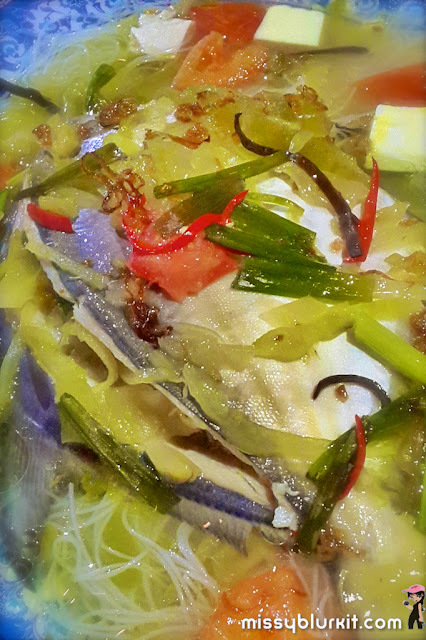 The fish is fresh (helloooooooo....we are eating in a fishing village) and cooked just right. Utterly delicious that we ate everything and slurped up all the soupy goodness leaving only the fish bone. Prawn mantis cooked in lots of salted egg. Operative word is "lots" because every piece of prawn to thoroughly coated. Slightly crunchy outside and soft juicy inside. 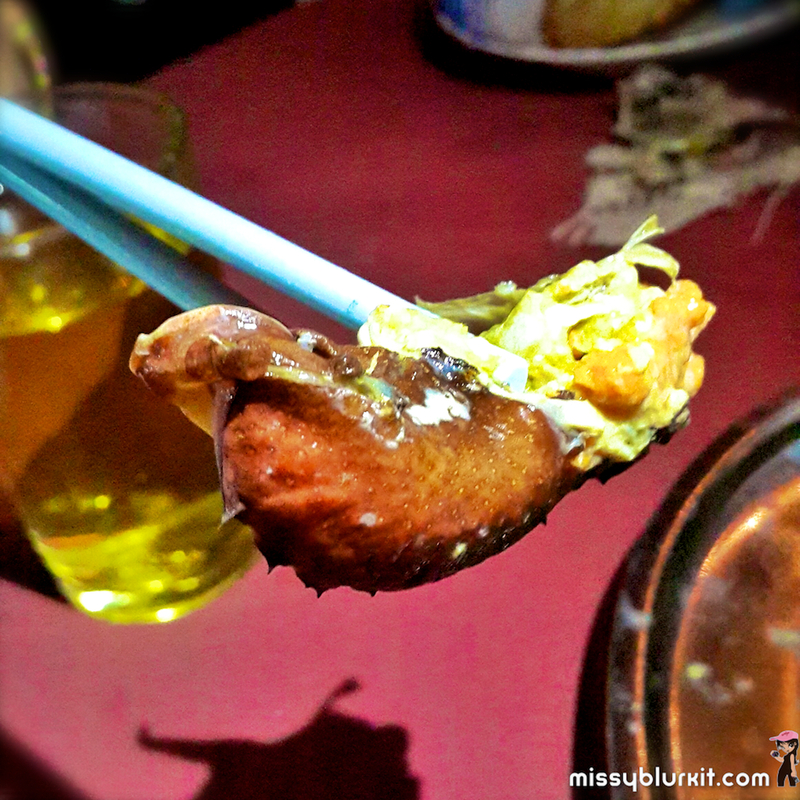 A lovely blend of salty, creamy and sweet goodness of the prawns. 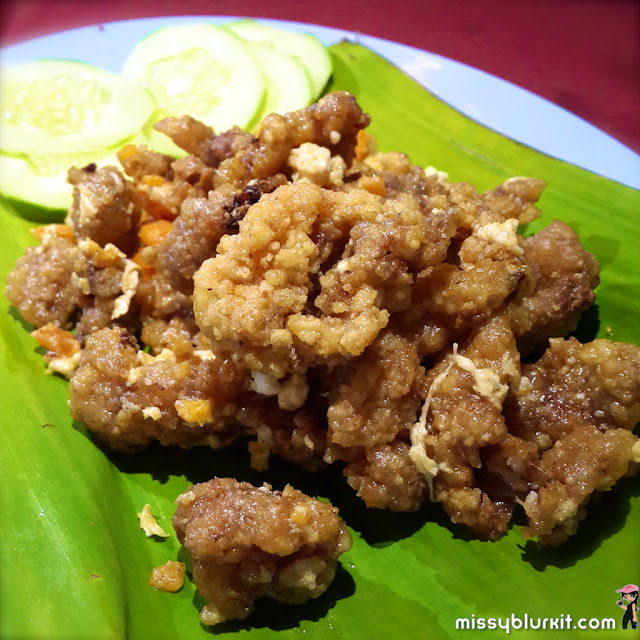 Highly addictive and I recommend that you order a large portion if you love prawns and salted eggs. 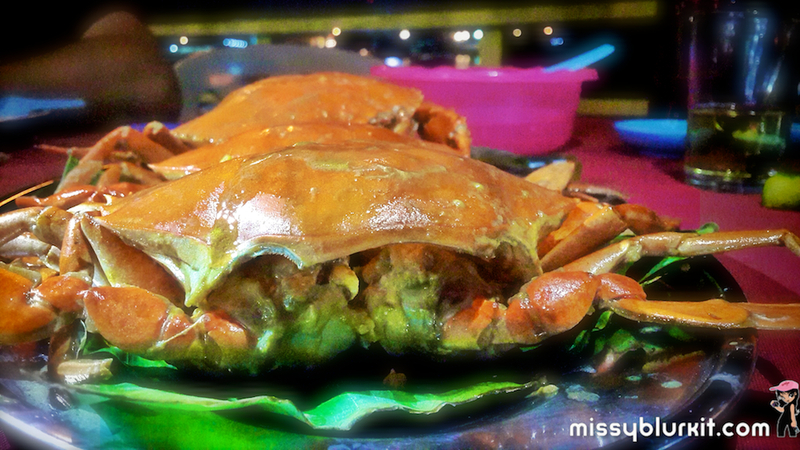 The highlight for the night was the salt steamed crabs. 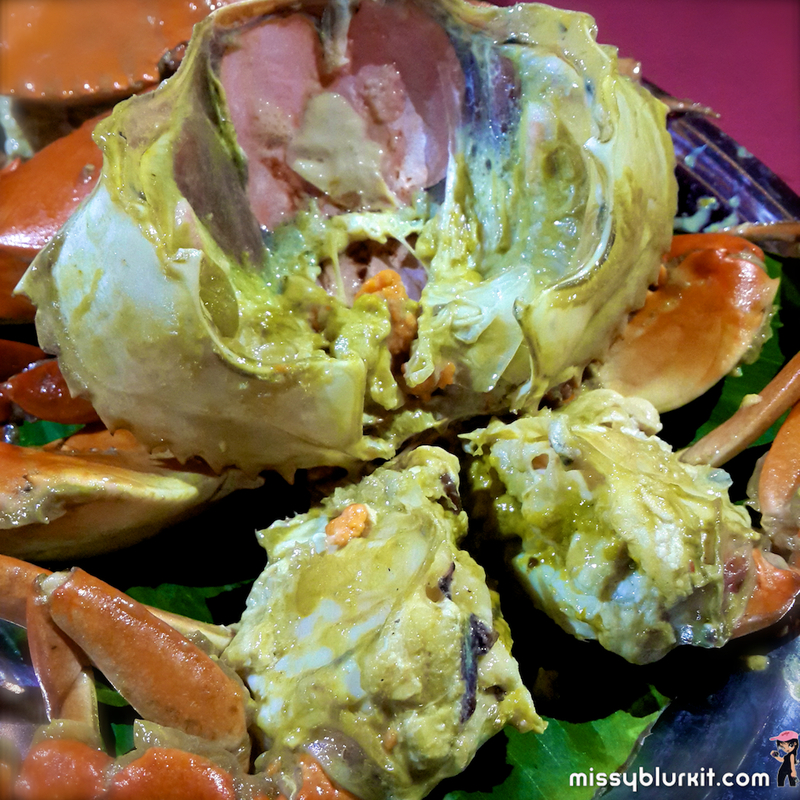 No frills just plain goodness of crabs with some salt. Finger and shell licking good! 2 crabs came with roe. Perfect because the hubster does not fancy crab roe! There are also the usual preparations of chili crab or black pepper crab etc or the more common seafood dishes in other places. 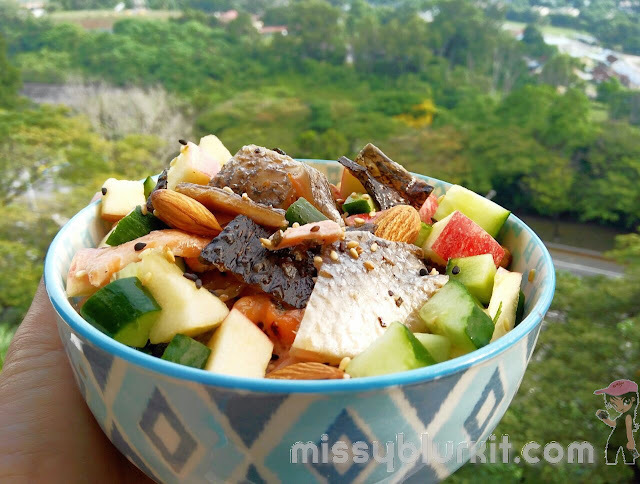 However if you like food in simple but tasty preparations, do give the above items a try. 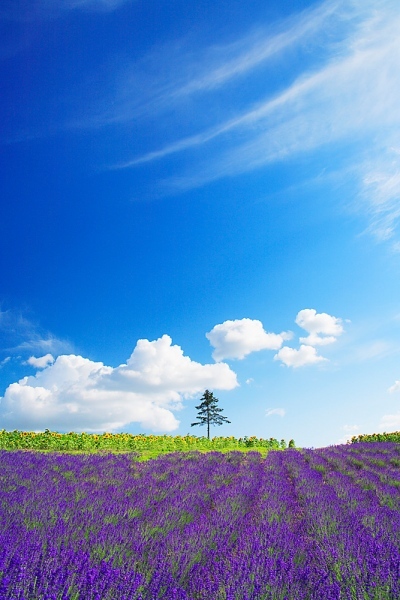 Some times, simplicity is really the best. Food at Bagan Hailam Lagoon Seafood is cooked by the old grandma herself. Just plain good old fashion cooking straight from the wok to the plate without any fancy sauces. No time is wasted on garnishing. This should explain why we have the company of regular locals i.e. Klang folks. Price is fair and I certainly don't mind returning soon for more good food. For sure I will be ordering the 2 noodles again! 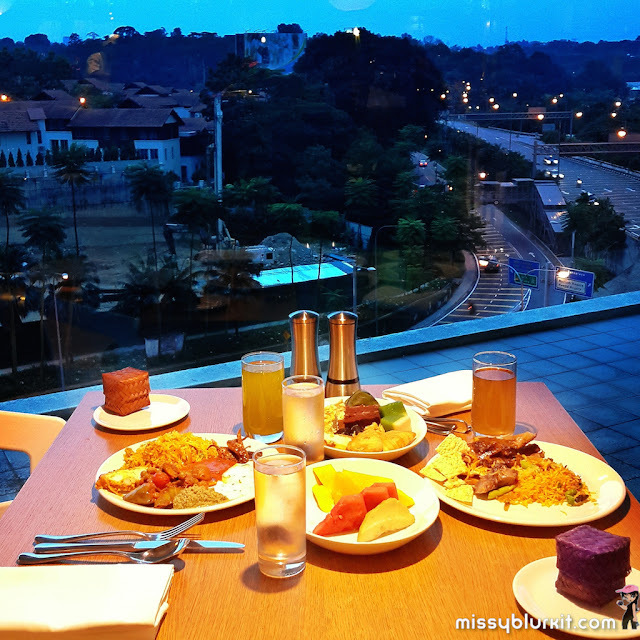 RM168.90 for an evening under the stars. 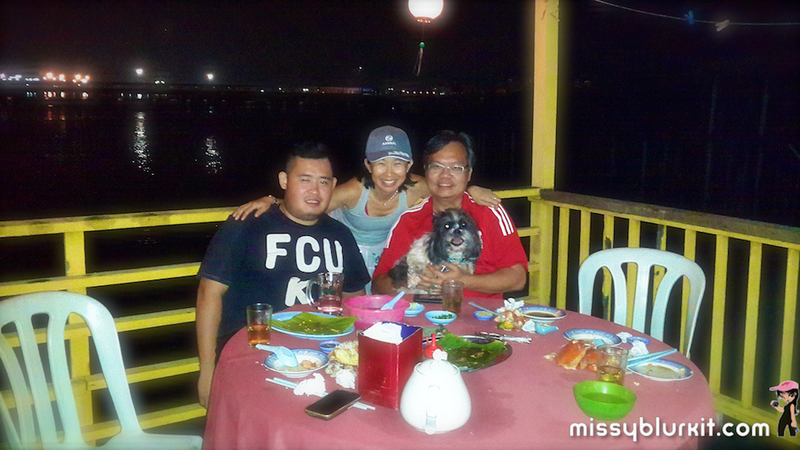 My dinner buddies: car kaki, makan kaki and Klang boy Poh with the hubster and our furkid Shalom. 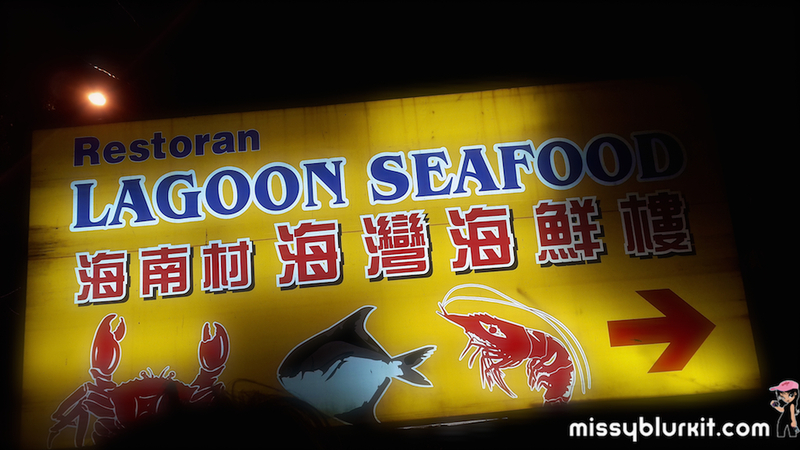 Directions: Set your GPS or Waze for Jalan Bagan Hailam and once you arrive, you will see the large signboard for Bagan Hailam Lagoon Seafood. Park your car at the open car park and walk through the platform. A few days back, I Instagramed a picture of me standing in the sea after #GCAM15. Some laughed while some PMed me asking what was 'Cyrotherapy'. Well, the answer can be googled but here's my reply anyway. 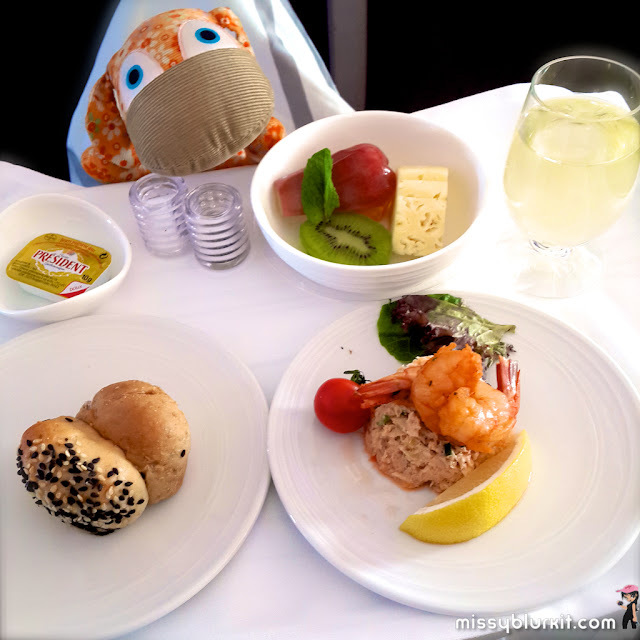 It has been some time that I flew Business Class. On a recent short trip to London to meet up with fellow runner Charlie @ The Runner Beans and also to explore London over a weekend, I had the opportunity to fly Business Class with our national carrier Malaysia Airlines and was rewarded with a Porsche! #SCKLM2015 is finally back to Sunday 4th October after a bout of shenanigans. The runners have united and made successful pressure to the Minister of Youth and Sports, Khairy Jamaluddin to revert to the original date. 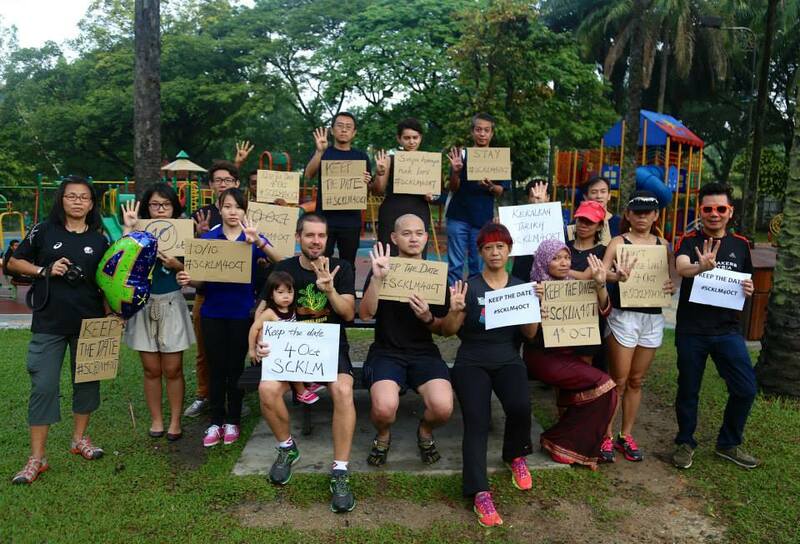 Of course a big kudos to Mr. Ong Kian Ming, MP for Serdang and Julie Wong for getting all this in place as well. One: AirAsia will be flying to Maldives again. 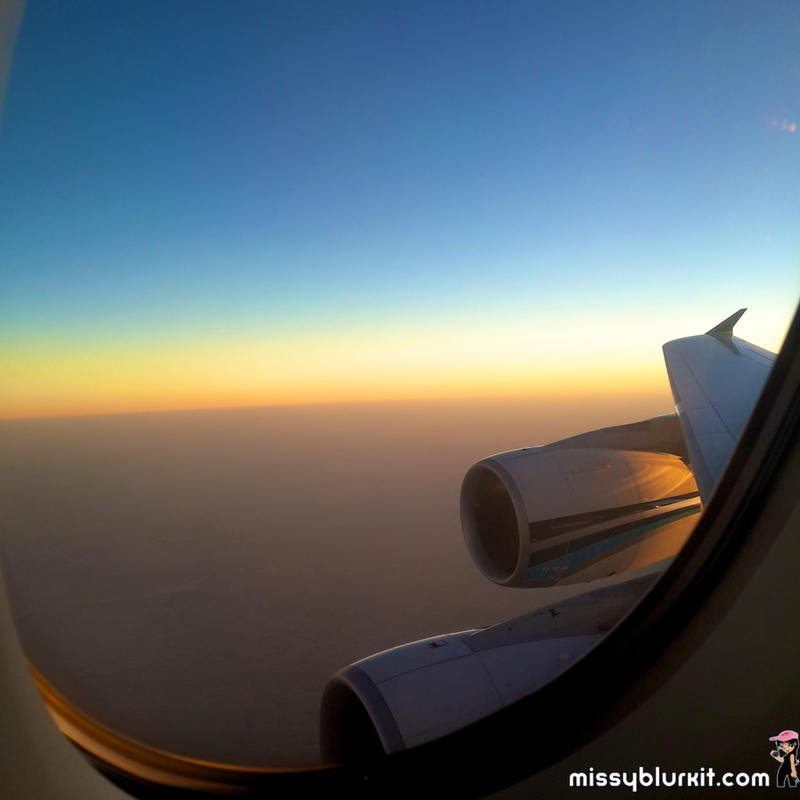 Two: You can win yourself a pair or flight tickets to Maldives! While the dates have not been announced, I can safely say it is soon. 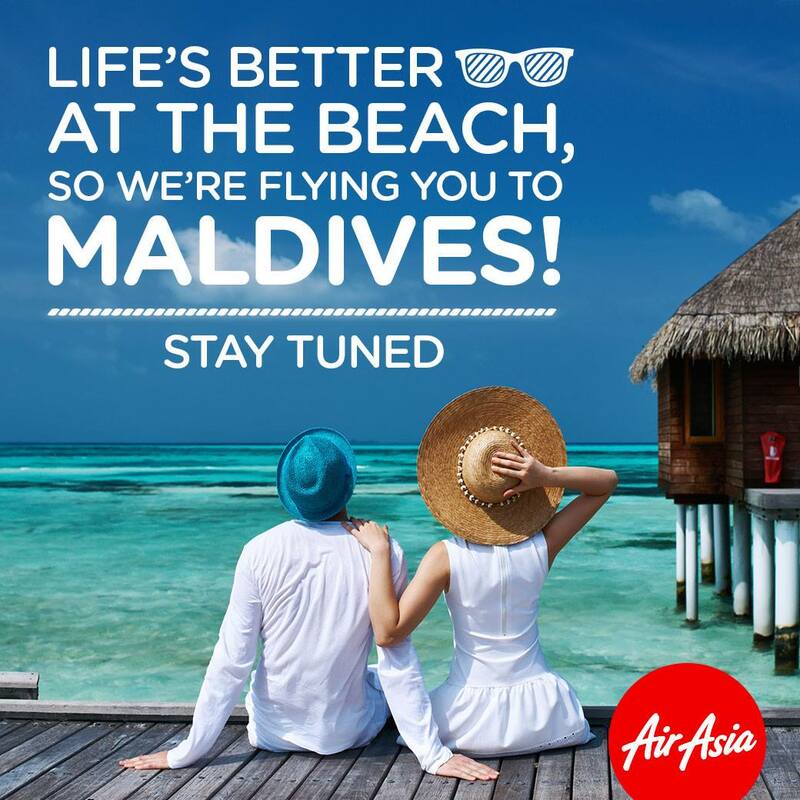 Meanwhile, you can start by planning for a getaway to Maldives with AirAsia. And if you want to have a pair of tickets for FREE, all you need to do is to take part in the AirAsia Instagram. 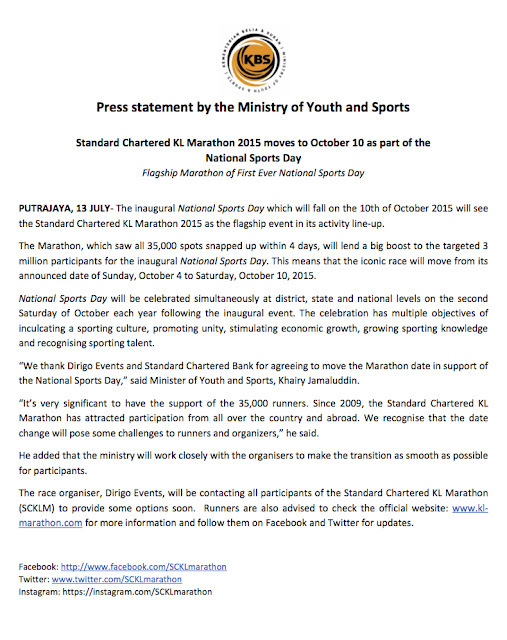 With the 1MDB scandal and the Low Yat police investigations still ongoing, why should we pay attention to the postponement by one week of a running event in Kuala Lumpur? 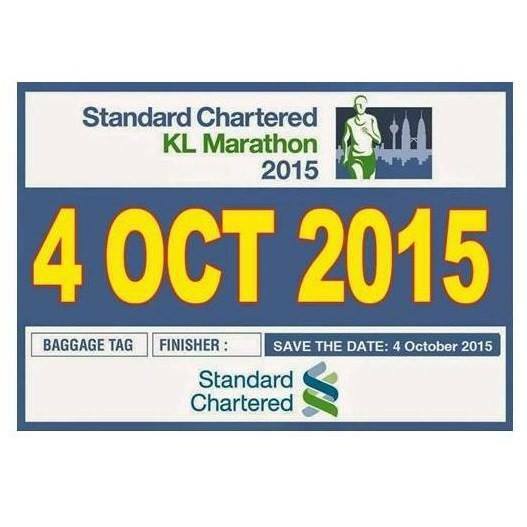 #SCKLM2015 has been postponed to Saturday 10th October. Strange but yes it is true. 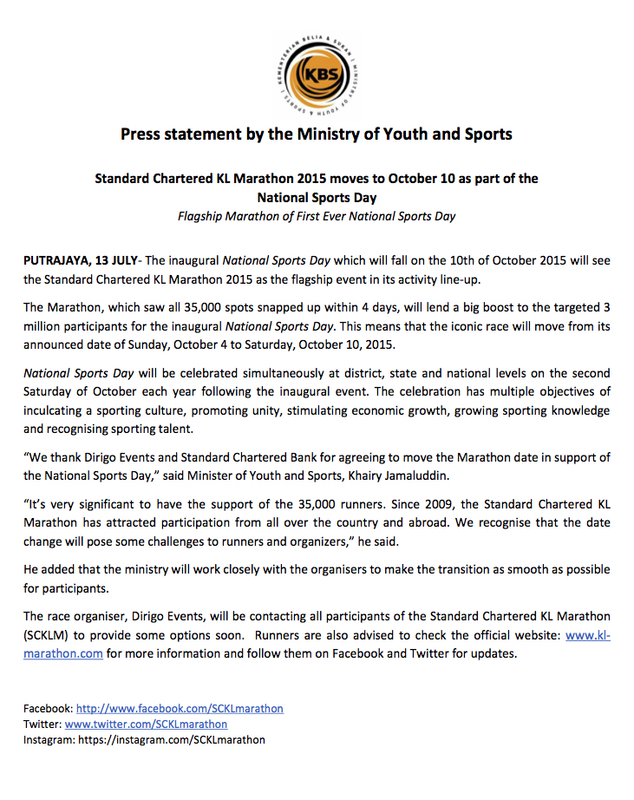 The running community demands that the date for SCKLM be changed back to its original date of Sunday 4th October 2015. 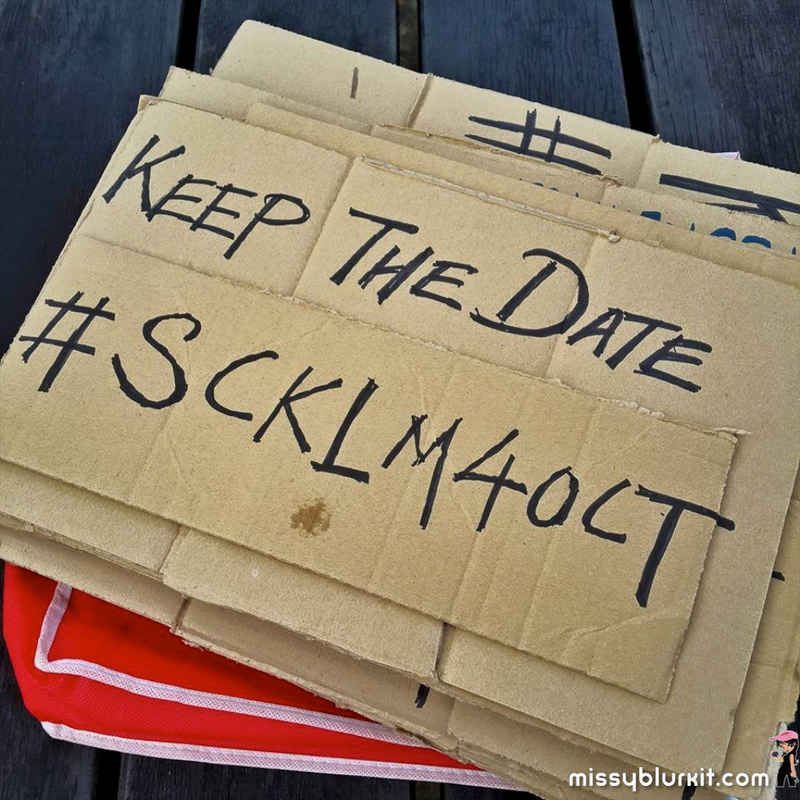 Its been confirmed and updated that #SCKLM2015 has been postponed to Saturday 10th October 2015. This is to coincide with the inaugural National Sports Day. 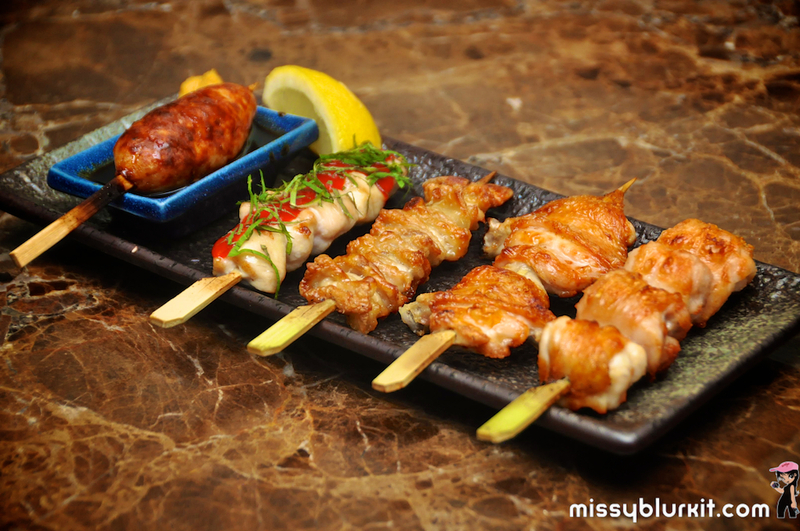 If you love Yakitori やきとり, then a trip to Ri-Yakitori Bar @ St Giles The Gardens, Mid Valley City is a must. Its as authentic as it can get since this place comes recommended by my Japanese pals. A visit to Vasco's this Ramadan is akin to having all the yummy Pasar Ramadan under one roof and in a comfortable set up. Savour a selection of over 150 mouth watering dishes from regular Ramadan comfort foods to Chinese, Indian, Japanese and Western options. 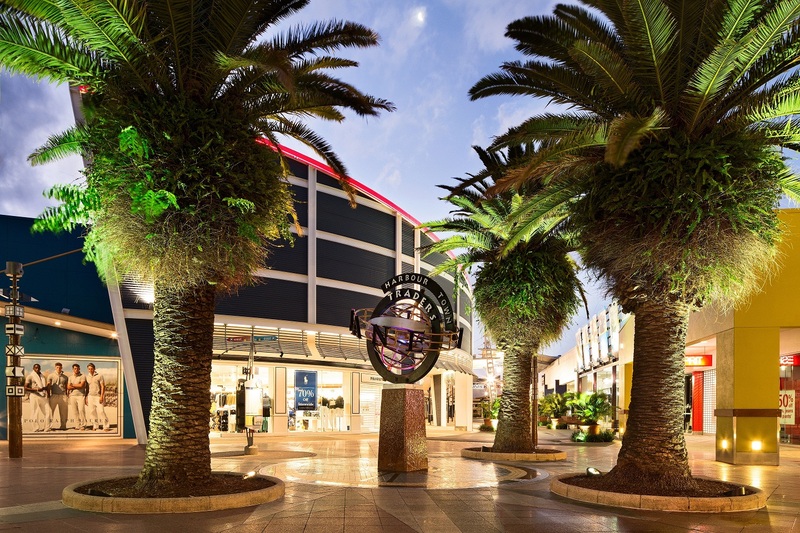 Gold Coast is a shopper's paradise. So if you are flying in for the coming Gold Coast Airport Marathon or even just for a holiday, make sure you bring along a huge luggage bag for your loot. While the malls etc have brilliant and varied offerings, a trip to Gold Coast is not complete unless you make a trip to Harbour Town Outlet Shopping Centre, Gold Coast.